We the students of CSE department and others who are related to this field know about Depth First Search technique. In this current semester, my teacher asked to write a software which will be able to show simulation of this search technique on a tree inserted by user. 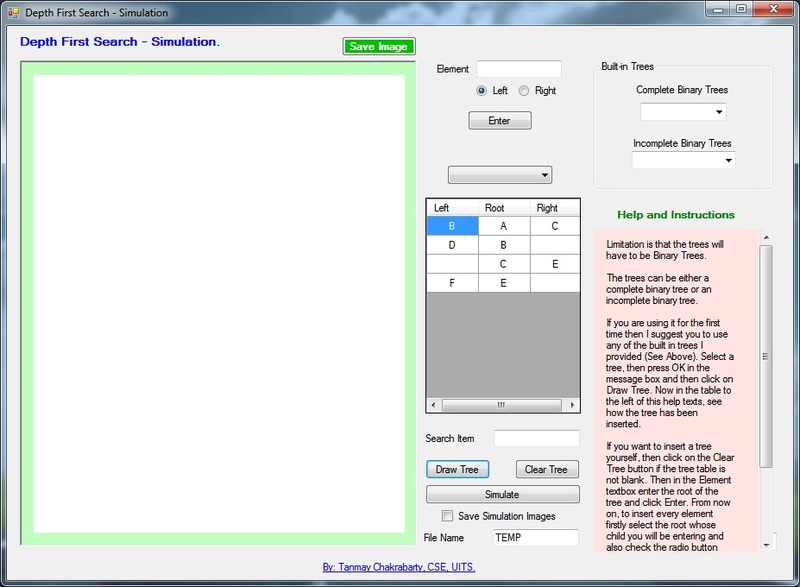 Thus I wrote this software which is able take a tree as input and then show simulation of DFS on it. However, this is the first time I am working with Drawing Objects in VB.NET and this made the software a little complex in back end. Also, if you cross 10 breadths the software may take a long time to draw the tree and the tree's width will become so large that it will be hard to view the tree. I have set few complete and incomplete trees already with the software as Built-in Trees (Find them on the Top-Right corner of the software). You can use them if are having trouble to insert trees. I have also added some instructions on right side of the software which can be used to understand the way of inserting trees. This is the interface of the software. 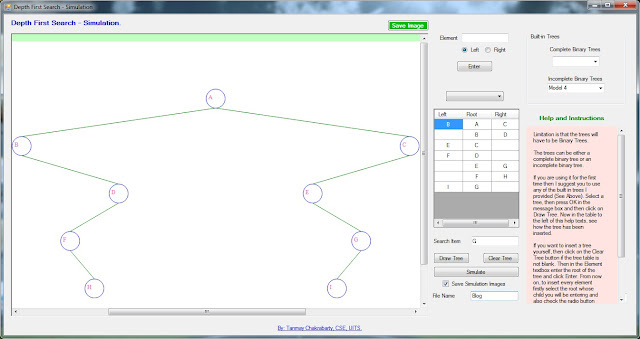 Here, I have selected a Model-4 incomplete binary tree from the top-right corner. Then I clicked the button "Draw Tree" to draw the tree. 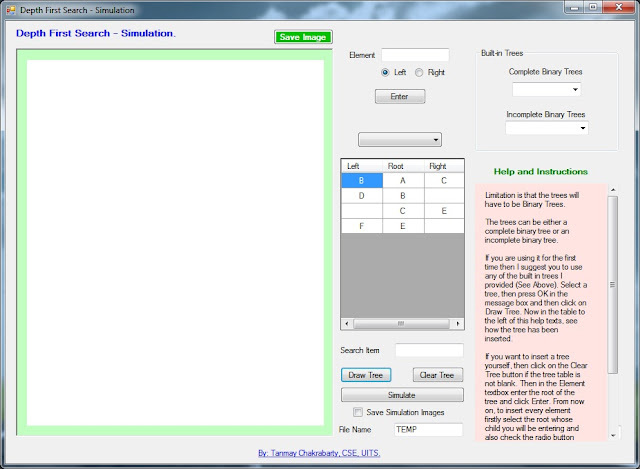 The tree has been drawn on the left panel of the software. After that I enter G as Search Item and also checked the Save Simulation Images checkbox to save the images of the steps of the simulation. I entered Blog as folder name where the images will be saved. This folder will be created there from where you ran the software. Then finally I clicked the button "Simulate". It results the simulation. I can not show the simulation here, however I have listed the photos of the steps of the simulation those were saved during the simulation was going on.